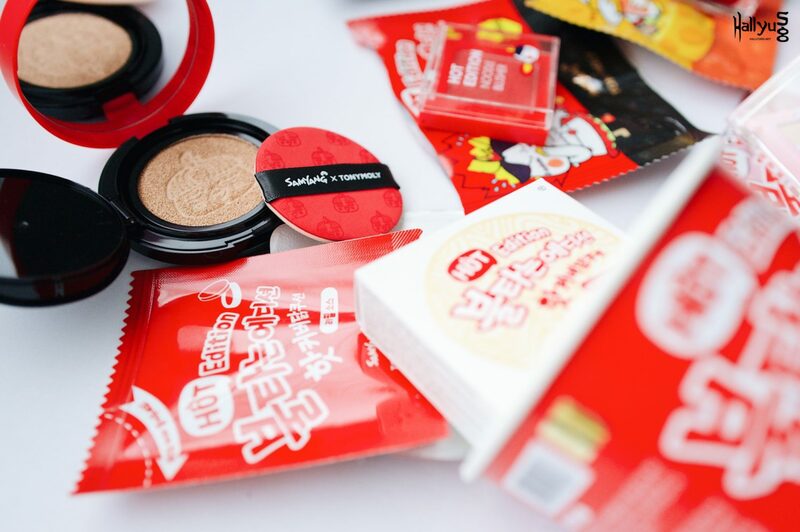 HomeK-BeautyDo you ‘dare’ to try this Hot-Noodles Inspired Makeup launched by Samyang? 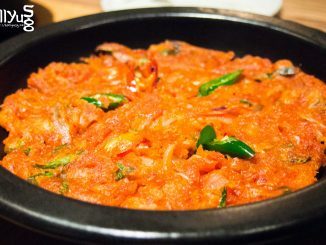 You’ve heard of the crazy fire noodles, but have you seen the newest creation by Samyang that has become the talk of the town? 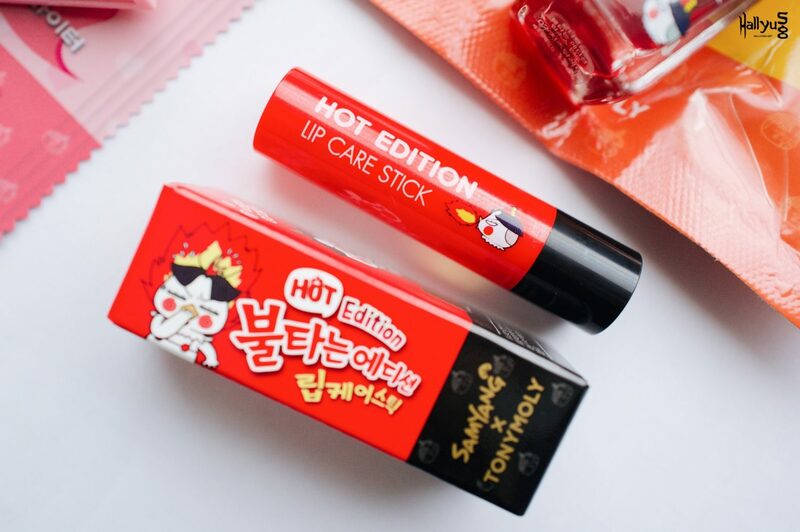 Samyang has recently collaborated with K-Beauty brand Tony Moly to spice things up, as they launched the latest Hot Edition cosmetics, which are inspired from their signature fire noodles. Samyang really goes all in for their packaging. When we first saw this, we were completely blown away by its creative packaging which resembles the real cup noodles. What’s even more interesting is that the cushion refill is also packaged in the form of a sauce packet, just like what you will normally find in cup noodles. The Hot Coverdak cushion comes in two shades (Nuclear Vanilla and Nuclear Beige) and is priced at KRW12,000 (~SGD15) each. We tried the Nuclear Vanilla which is in SPF50+ PA+++ shade; it gives off a smooth texture and is not sticky at all. It can cover blemishes well too! Just in case you’re wondering, these lip sauce tints are not “flavoured” despite their names, nor do they make your lips burn after applying. 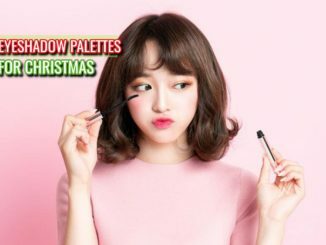 They come in two shades (Chicken Red and Cheese Chicken), and both are long-lasting, giving off a semi-matte texture. In fact, these tints smelled nice too! Basically, this works just like a lip balm. And no, it is not “flavoured” too. Two shades are available for the Noodle Blusher – Hot Flavor Red (left) and Carbo-lighter (right). The Hot Flavor Red blusher in that bright red flush seems a bit too “over” for any makeup, but the Carbo-lighter works pretty fine as a highlighter, giving your face a luminous glow. 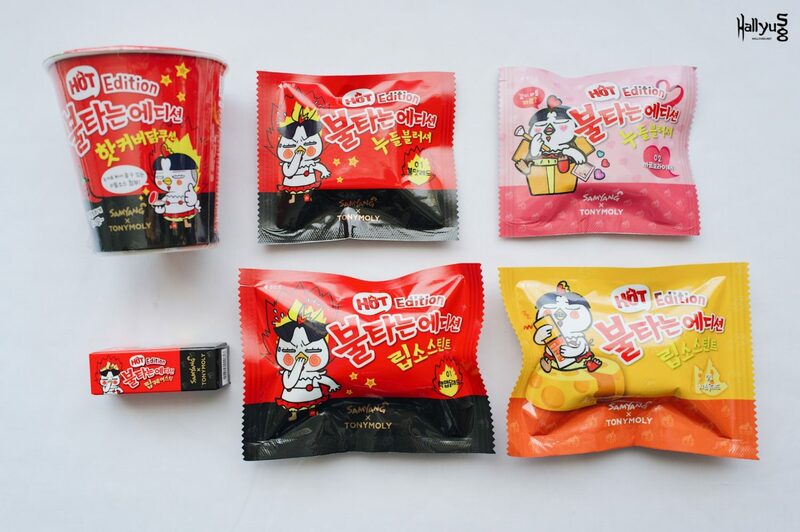 The Samyang x Tony Moly Hot Edition collection is currently only available in South Korea, but good news is, you can still get your hands on them by putting up a request on Airfrov for another traveler to bring it back for you! 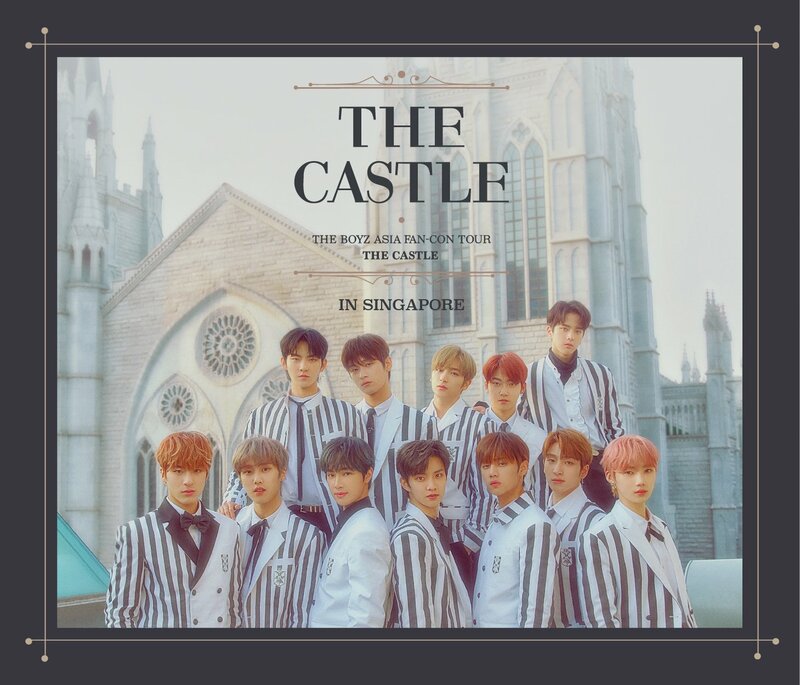 ⚠️ Simply quote “HALLYU10” to enjoy even more discounts for any of your Airfrov purchase from South Korea!